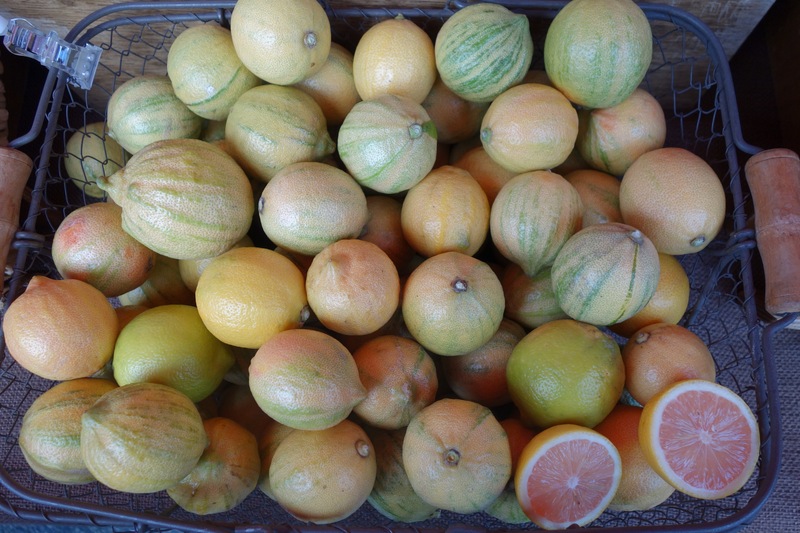 Beautiful pink lemons from JJ’s Lone Daughter Ranch, grown by farmer Laura Ramirez. Gorgeous pink lemons found at the Santa Monica Farmers Market. These beautiful lemons are begging to be made into pink lemonade, but you can use these as you would any yellow Eureka (sour) lemon as well. 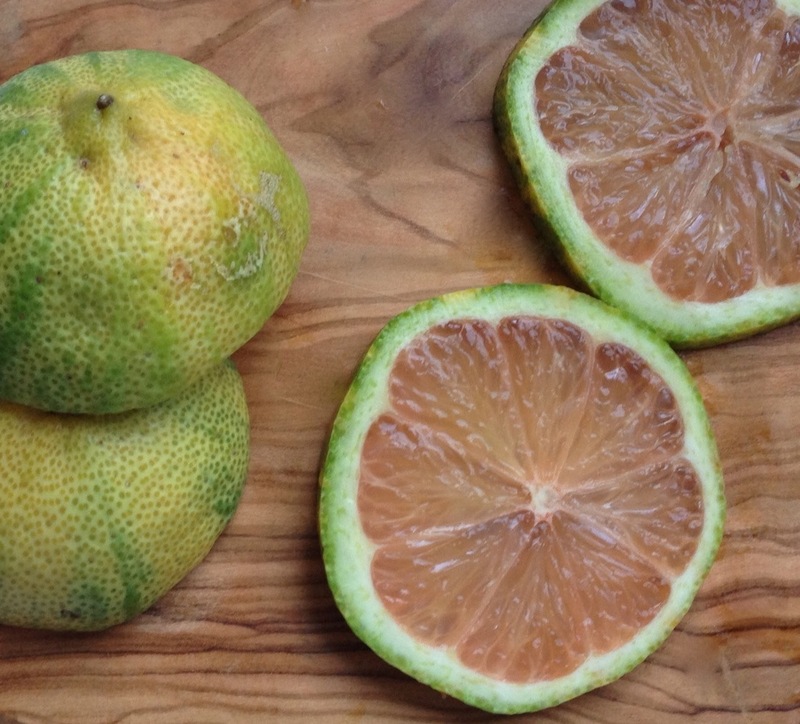 The pink hue of these lemons is natural, a genetic deviation in the standard Eureka (sour) lemon. The pink lemon was first discovered in Burbank, CA, in the 1930’s. I had not heard of pink lemons! Great post.